Our Bath Teas are combinations of all natural salts, food grade botanicals and pure essential oils. Our selections of essential oils, herbs and salts are based on the publications of Robert Tisserand, Henriette Kress and Susan Barclay-Nichols respectively. Each combination is designed to have specific therapeutic qualities for the body, mind and skin. 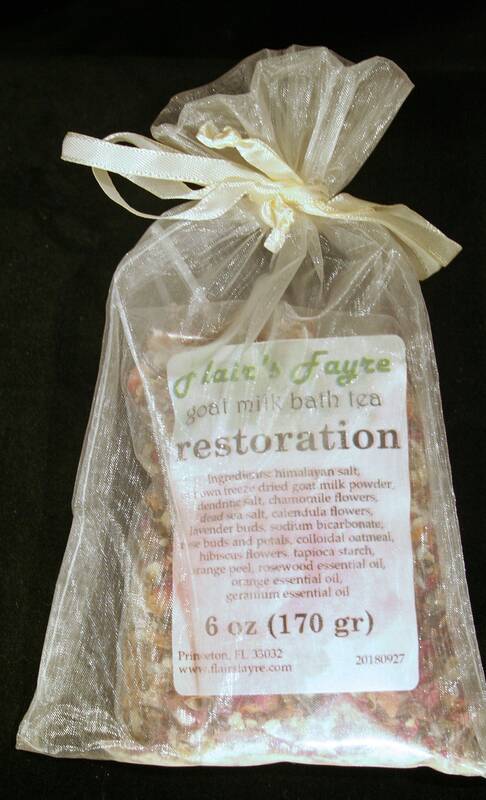 Ancient Egypt inspired our luxurious bath teas made with freeze dried milk from our own organically fed goats. 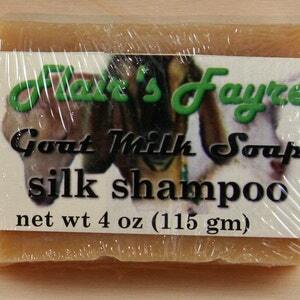 Cleopatra was known for taking daily goat milk baths and was renowned for her glowing skin. Goat milk is very high in vitamins A, B, and E, boasting a beta carotene content that is three times higher than cow's milk. Due to its complex blend of helpful acids, proteins, oils etc. 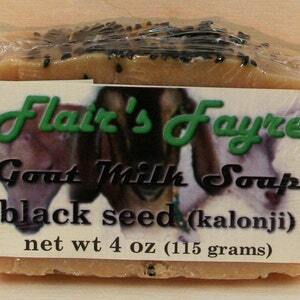 goat's milk is superior for hydration, exfoliation, and skin nutrition. Make your next bathing experience an aromatic delight! 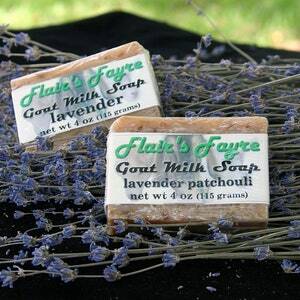 The botanicals and essential oils hit the warm water to release natural aromas and extracts. A natural herbal bath may help to relax and relieve tension, soothe aching muscles and joints, stimulate circulation, or help chase away a cold. Each unique blend of botanicals and essential oils enhances the natural healing and soothing effects of a warm bath. Our bath teas also include Dead Sea, dendritic and other salts to add extra soothing benefits to your bath. We include a form of tapioca starch that has been specially treated to absorb and lock in essential oils in dry bath powder allowing them to release in the bath water. It also helps soften the water, and helps the salt mixture to be stored nice and dry. 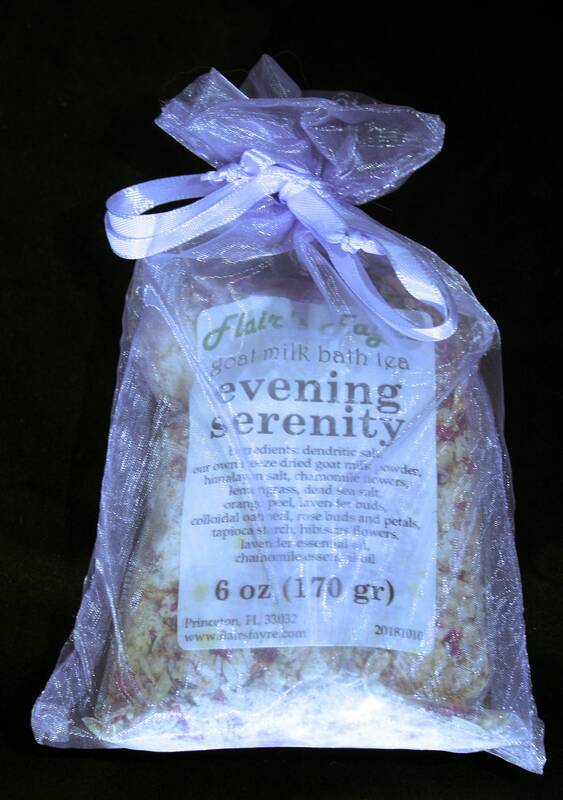 Each bath tea comes with an Organza Bath Bag that can be reused again and again. To prepare an herbal goat milk bath, place 2 - 4 Tablespoons of the bath tea mixture into the bag and hang it from the tap while water is running. 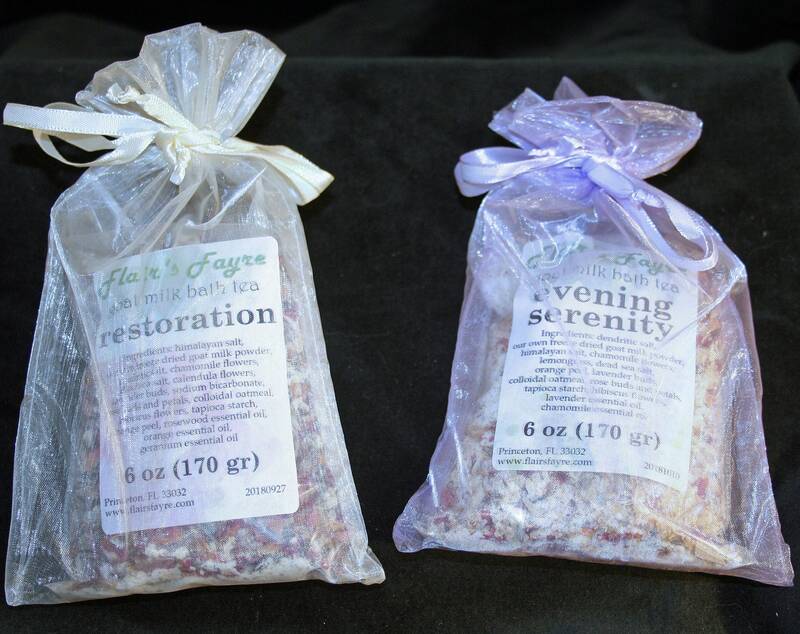 During bath, immerse bag in water and gently squeeze to release the essences of the herbs. Then soak in the aromatic infusion! Unwind in the tub and detox and soak away the stress of the day. 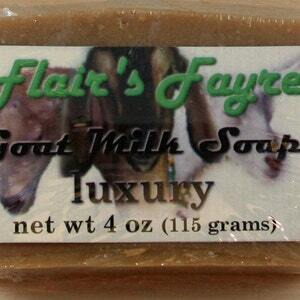 You will feel pampered and relaxed from the skin-softening goat milk, botanicals, essential oils and salts. For a stronger infusion: Boil a quart of water in a pot then turn off the burner. Place mixture in muslin bag; brew in boiled water for 10 minutes then pour into tub. Our bath teas are handmade in small batches on our Princeton farm and are very versatile! or as an “herbal washcloth,” with or without soap, or place the whole bag in the dryer to add a fresh scent (works great with towels and linens).